COROZAL TOWN–Zakir Escalante, 20, of Corozal Town, a student at Corozal Community College, has been reported missing. Escalante was reported missing on Friday after he failed to return from Santa Clara, where he had gone to visit. At about 1:30 Friday afternoon, Rosa Escalante, 42, a domestic of Finca Solana, Corozal Town, went to the police and reported that her son, Zakir Escalante, told his sister that he was going to Santa Clara and left. Since then, he has not returned home. According to the family, Zakir was last seen by the park in Santa Elena, near the northern border. He is described as being of Mestizo descent, about 5 feet 5 inches tall and slimly built, with brown complexion, black hair, brown eyes, a pointed nose, moles on his back, skull tattoos on his left calf and a star tattoo with the word “Tribal” on the left side of the chest. He was last seen wearing an orange shirt, a pair of ¾ white pants, and a pair of black, grey and white tennis shoes. Also, today, Monday, November 17, makes 14 days since Joeth Chyna Pratt was reported missing on Tuesday November, 4, after she drove away in her truck from the CISCO Construction Company compound in Belize City, at about 12:30 that Tuesday afternoon, to parts unknown. Despite being seen the next day, Wednesday, at about 4:30 in the evening, sitting in her vehicle in a feeder road in a remote area of Medina Bank, in the Toledo District, she has not been seen or heard from since. While Pratt has disappeared, the vehicle she had been driving, was recovered. According to police, tracks were seen leading from her vehicle on the feeder road, towards the river, which is about 6 miles away. Joeth Pratt is about 5 feet 6 inches tall, of Creole descent with brown skin, and of medium build. 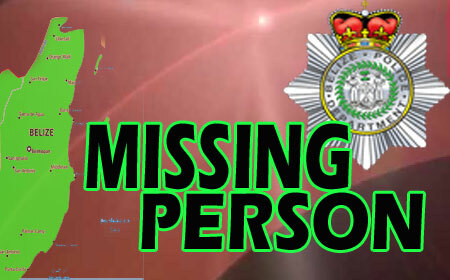 Anyone who has information on either of these missing persons is urged to contact the nearest police station.